In 1985, founder and Woodsmith Shop television personality Don Peschke opened the first Woodsmith Store in the Beaverdale area of Des Moines, Iowa. 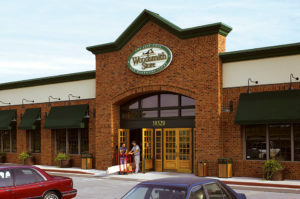 In 2003, the store’s location was moved to its current site at 10320 Hickman Road in Clive, Iowa. A haven for woodworkers, the Woodsmith Store carries woodworking tools, equipment, accessories, books, and plans. 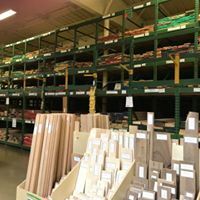 Our lumber department is a woodworker’s dream—filled with quality hardwoods and exotic lumber as well as plywood and veneer. Shoppers are giddy as they peruse beautiful and unique woods like purpleheart, zebrawood, and padauk. In addition, the Woodsmith Store has one of the best paint and finishes departments in town. 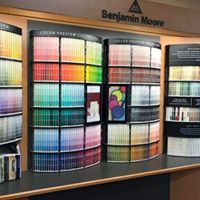 Knowledgeable sales associates assist customers in choosing quality Benjamin Moore paint—including type, color, and sheen. With an interior decorator on staff, our one-on-one assistance is appreciated by customers who desire painting and finishing assistance backed by quality products. We also sell General Finishes and Penofin products, with rave customer reviews for ease of use and quality end results. The kitchen department offers a unique shopping experience for those who love cooking. 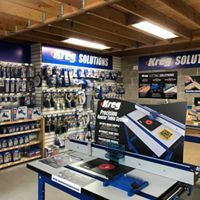 The Woodsmith Store surprises customers daily with our large and unique selection of hard-to-find gadgets, time-savers, pretty serving ware, small appliances, and kitchen basics. 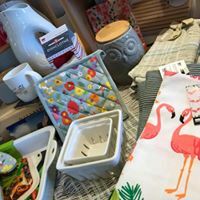 For the gift buyer, this department is the perfect go-to spot to find a wide variety of gifts including Iowa-made items like Amish baskets, foods and mixes, pottery, art, T-shirts, embroidered towels, and more. The seasonal garden center draws in garden lovers and homeowners with beautiful flowers, plants, shrubs, and trees. Our container selection is amazing and the expert gardening crew is happy to assist with planting if needed. Be sure to venture inside to check out our fun garden decor, tools and accessories, birdfeeders, and chimes. Locally-owned and customer-service- oriented, the Woodsmith Store has been a treasured shopping destination for people all over the country. And now, with our growing Website, shoppers can soon enjoy ordering some of our best-selling products right from the comfort of home. Our plan is to grow our on-line product offerings weekly, so please, check back often for new additions.